The Annecy, France, wheel company Mavic may be late to the wide-rim party, but to this soiree its lateness is definitely fashionable. For two days this week in Wyoming’s Teton Range I rode with Mavic to test its to-be-released cycling gear amid challenging terrain and spectacular scenery. 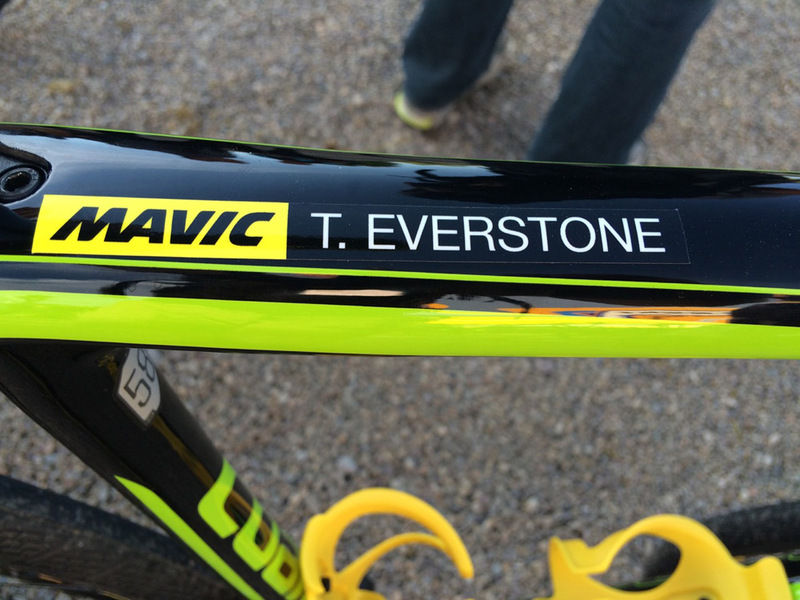 The big news was in Mavic’s Ksyrium line up. The company first launched this “wheel-tyre system” in 1999, and for 2015 the entire range sees refinements and weight savings, wider rims and tires, along with carbon rims for some models. With the popularity of gravel endurance riding showing no signs of slowing down, the wheel which most appealed to me was the Ksyrium Pro Allroad Disc. This tubeless-ready wheelset is aimed squarely at endurance-type riders, and it has a 19mm internal rim width and a 30mm tire called the Yksion Elite Allroad. The wider rim and larger tire afford greater air volume at lower pressures, which in turn provide pinch flat protection and more durability. The tire has cut- and puncture-protection with a bead-to-bead nylon casing reinforcement. 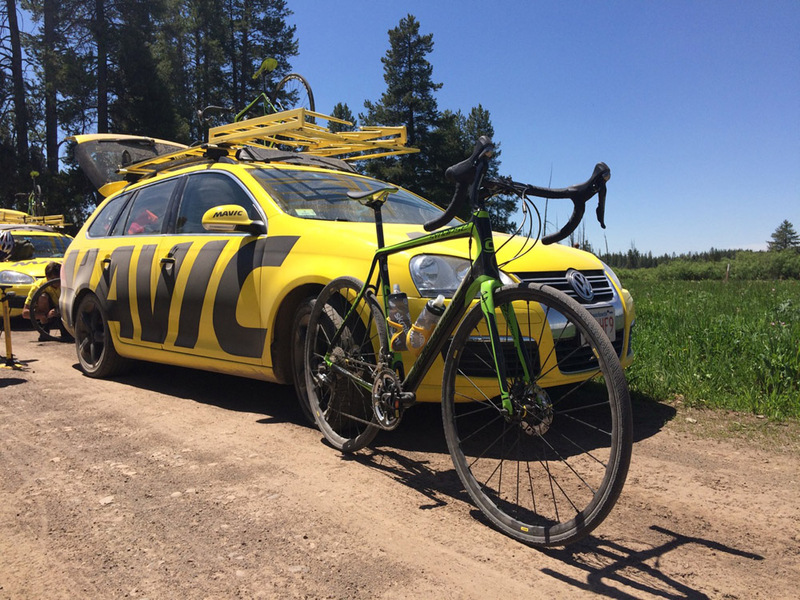 In Wyoming, the Mavic engineers stressed the importance of rim width and tire width compatibility. 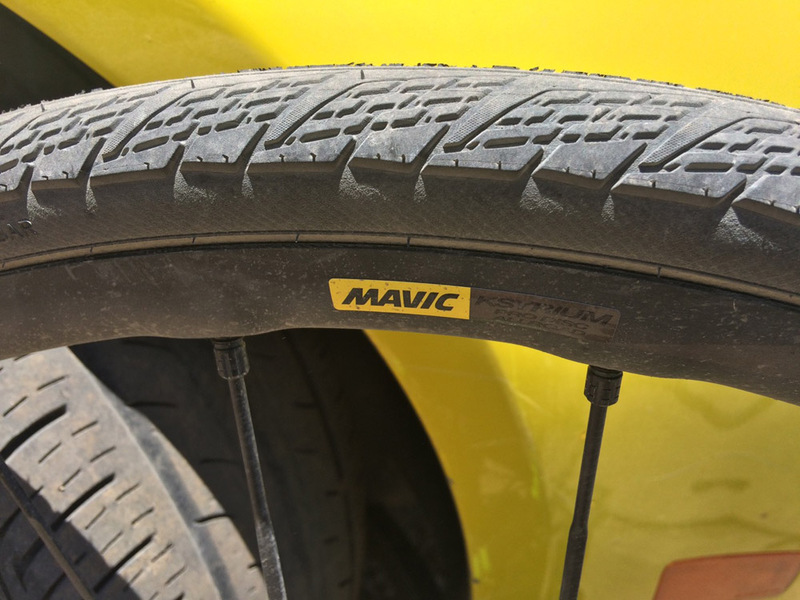 As such the Pro Allroad Disc is designed for tires 28 to 42mm wide. Both front and rear are 24 spoke, and the rear freehub gets updated to what Mavic calls Instant Drive 360, offering engagement every nine degrees. Wheels are quick release, and thru-axle compatible, and they are delivered with all necessary end caps for tool-free convertibility. Day one had us riding the Ksyrium Pro Allroad Disc on a 70-mile leg ripper over varying levels of rutted dirt roads and jagged gravel in the shadow of the Tetons. We climbed over 5000 feet and I reached a max speed of 45mph on the descents and finished in a driving hail storm. I had no issues and was impressed with the stiffness and stability of the wider footprint. Some of the riders did, in fact, suffer punctures. 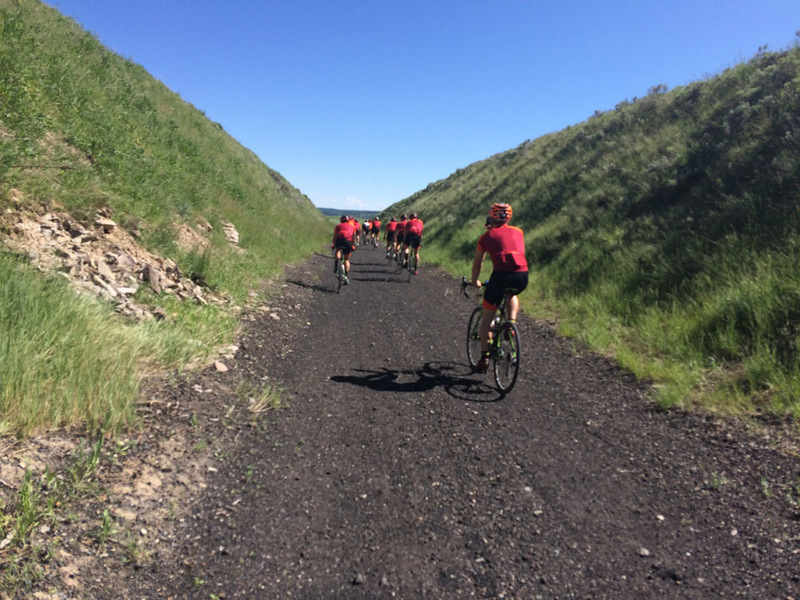 But with over 30 riders in attendance, and the roughness of the terrain, I’d hardly call that an indictment on the tires. The Ksyrium Pro Allroad Disc weighs 1620 grams, the tires weigh 320g. (A 28c version of the tire is available and weighs 245g.) MSRP for the wheels (tires included) is $1,249 and will be available in the U.S. starting in July. These all-carbon rims are the lightest Ksyriums ever offered, and the acceleration was noticeable. After a moderate start we were soon ascending Signal Mountain Lookout, a 5k climb that made me appreciate the 1,190gm wheelset. Out of the saddle efforts were met with immediate responsiveness, and after a photo-op on top we were descending back down. With laser-machined brake tracks, descending was never scary, though I “only” managed to hit 38mph. The Pro Carbon SL rims measure 17mm internally, and they are optimized for 25-32mm tires. I rode the tubular version, but a clincher is also offered. Front spoke count is 18, rear is 24. The freehub is also upgraded to the Instant Drive 360 version (see above). A disc version of the wheel is offered, though we did not get to ride it. It has 24 spoke front and rear for the increase in brake torque and is also triple-compatible with QR, 12, and 15mm thru-axle systems. MSRP is $2,399 (tubular-available July) and $2,199 (clincher-available September). 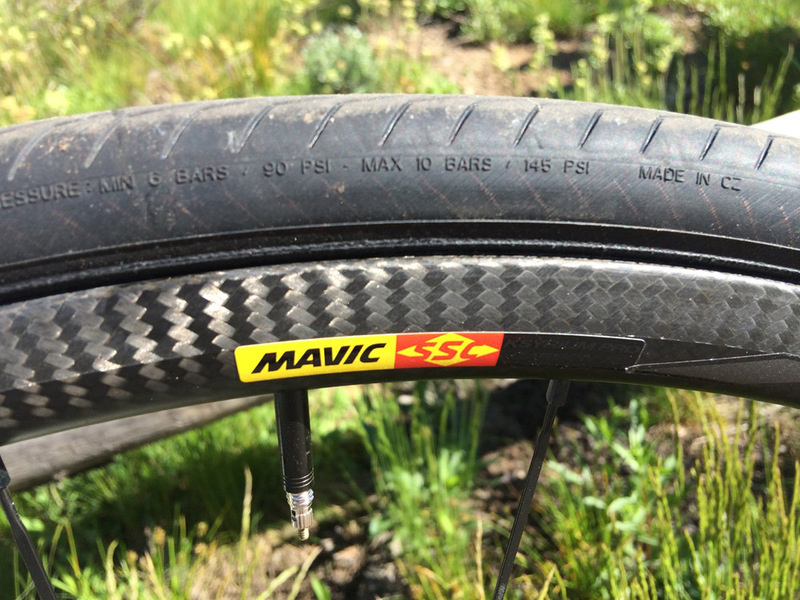 Watch for the upgraded wheels and rubber at stores this summer or at Mavic.com. I’ll be riding the wider Mavic setup on all terrain, road to gravel and beyond.